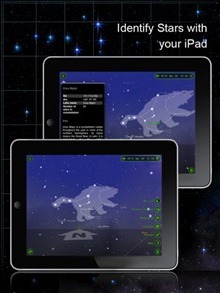 Agile Messenger HD Pro has just become a universal app – designed to run on iPad, iPhone, and iPod Touch – this week. And to help mark the occasion, the team at AgileMobile have generously offered us five more promo codes to giveaway to you lovely readers. 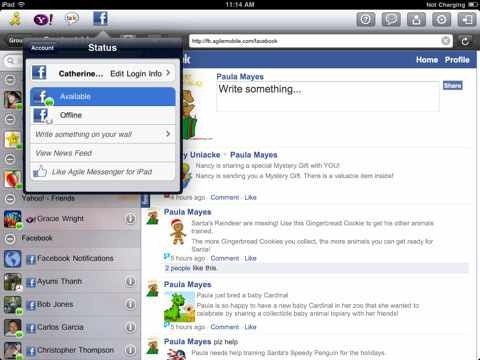 Agile Messenger HD lets you connect to Facebook® IM, Yahoo®, MSN®/Live Messenger®, GoogleTalk®, ICQ®, Jabber® and AIM®, and stay online while you use other apps thanks to iOS 4.2 multi tasking support. In addition to Instant Messaging, Agile Messenger HD also features full Facebook support, enabling you to update your status, post to your friend’s walls, post comments, view your news feed and receive instant Facebook notifications. Today we’ve got another cool promo codes contest for you. Today’s app is Terminology for iPad – a dictionary + thesaurus + lots more app that I reviewed recently and was very impressed with (it is now a fixture on my 2nd home screen). Good to see we have a few Shakespeare fans here. Thanks to all of you who took part in this one, and of course a huge thanks to Michael and the team at Shakespeare In Bits for running this contest with us. Winners – congratulations, and please keep an eye on your Inboxes and spam folders – as we’ll be sending your promo codes to you very soon. Look out for more cool contests coming soon. 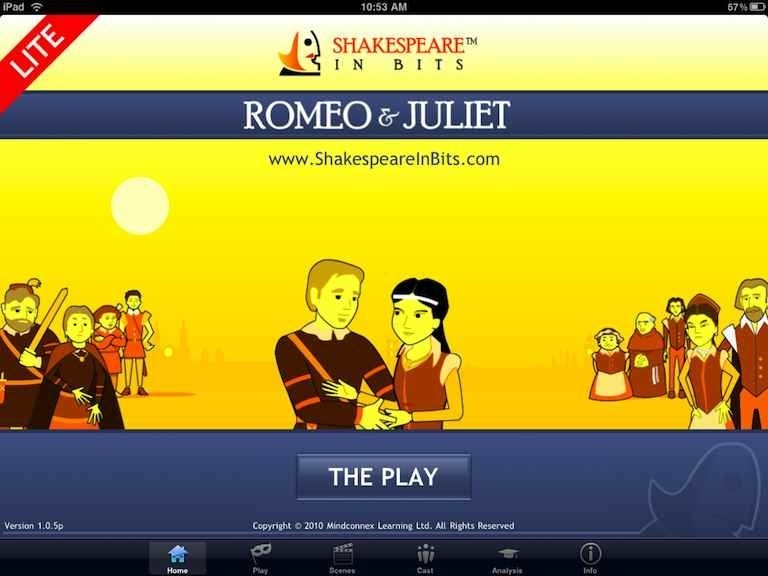 Here’s another great contest courtesy of the kind folks at Shakespeare in Bits. We’ve got three promo codes for their excellent app that lets students (or just fans of the great man’s work) get to know Shakespeare in bits that are beautifully presented. 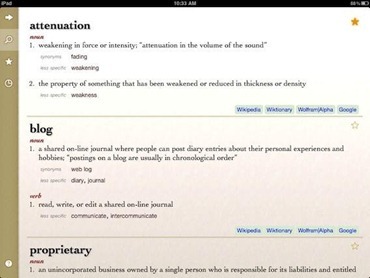 I did a quick look post about the app just a few days ago, and found it quite impressive. Lots of good participation on this one. 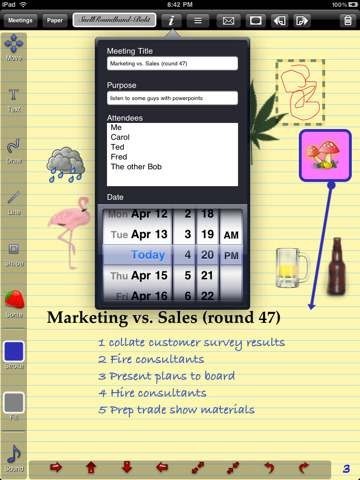 Thanks to all who took part – and a big thanks to Arnie and the folks at iMeetingPad for generously sponsoring this contest with us! Winners – congratulations, and please keep an eye on your Inboxes and spam folders – as we’ll be sending your codes to you very soon. Lookout for a great new giveaway contest coming this weekend. Hint – it will involve following us on Twitter and retweeting, so if you don’t already follow us you might want to get on that: http://twitter.com/justipadblog. 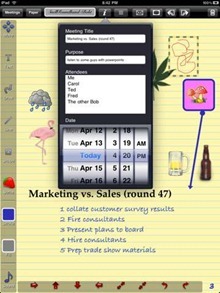 iMeetingPad is an iPad app that’s a fun new take on a notepad to be used in meetings. 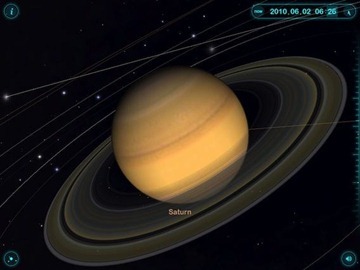 It offers a nice array of fonts to use, a few paper choices, the ability to type, draw freehand, add lines, shapes, and clipart images to the page, and even some silly sound effects. Lots of great participation in this one. Thanks to all of you who took part – and huge thanks to Ben and the folks at Stand Alone for sponsoring this contest with us! Winners – please keep an eye on your Inboxes and spam folders – as we’ll be sending out your promo codes very soon. Watch out for more contests here soon.